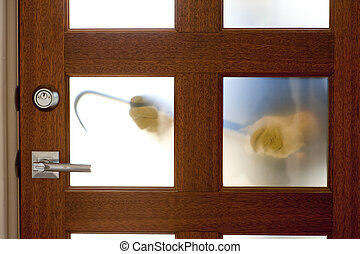 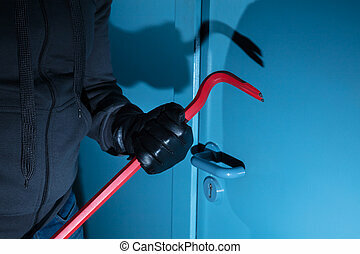 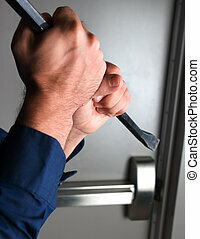 Burglar hand holding crowbar break opening door. 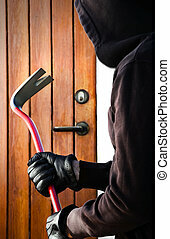 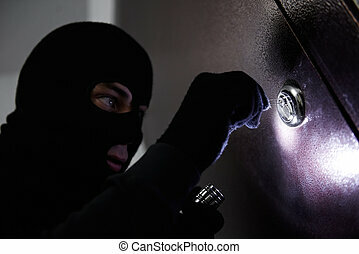 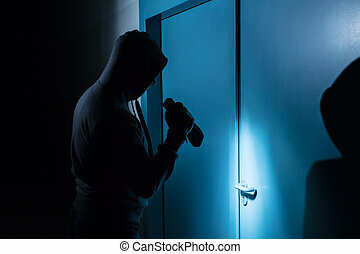 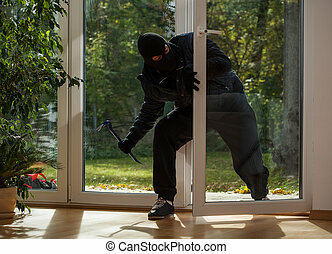 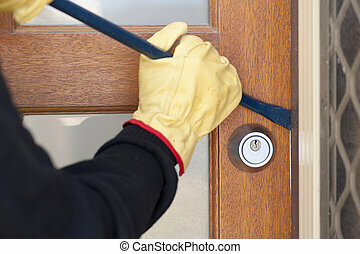 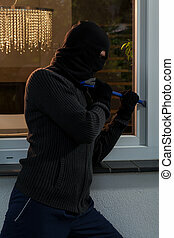 Crime scene - criminal thief or burglar hand in gloves holding metal crowbar break opening home door lock. 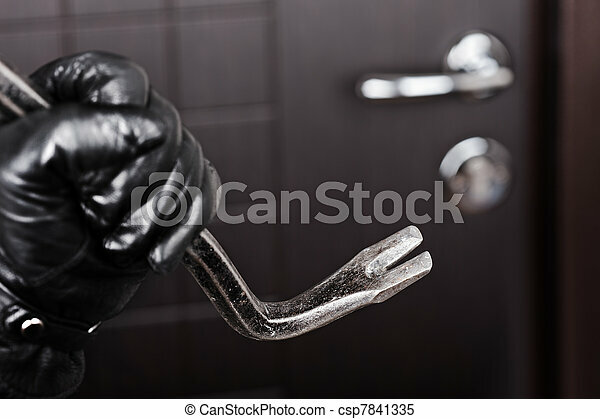 Hand opening the door. 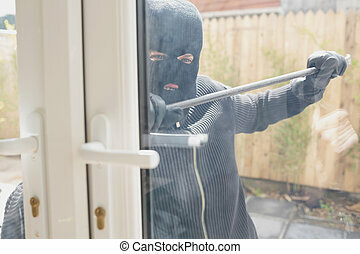 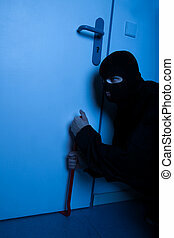 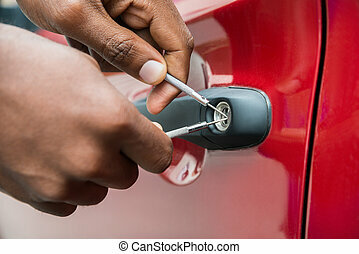 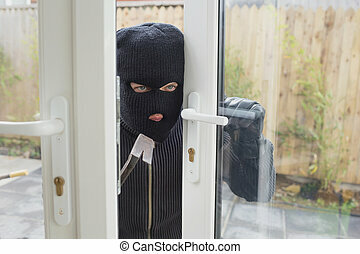 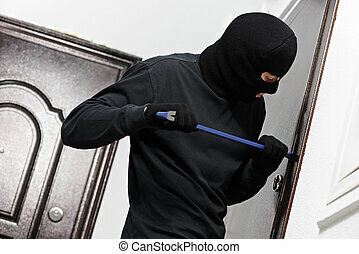 Thief or burglar trying to enter a house, break the door. 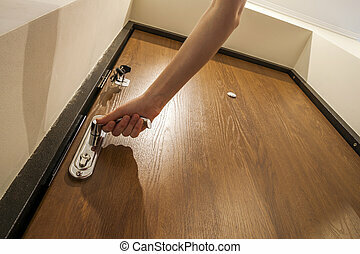 Door handle.